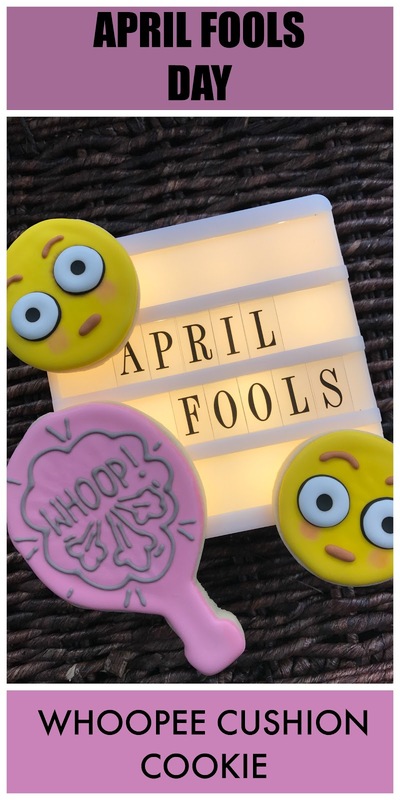 Do you celebrate April Fool's Day? I never did and then I had kids. 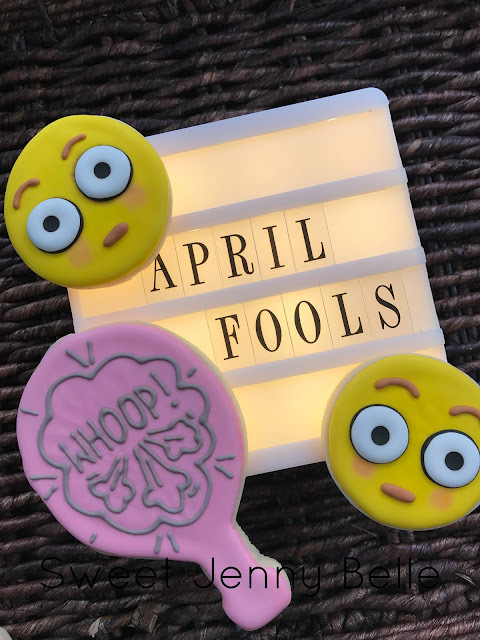 Kids love pranks and gags and April Fool's Day! I finally gave in and now each year I search for new ways to make them laugh. Well we can be a low brow family and fart jokes always please. When I showed them my drawings for the whoopee cushion cookie, they just howled. The whoopee cushion cookies is pretty easy! Come check out the video below to see. If you have any questions, let me know! The pink cushion color was made with Americolor gel 1-1 ratio of Dusty Rose and Deep Pink. Looking for a royal icing recipe - come read my post here! Do you have anything silly up your sleeve? Let me know!